It is a well known fact that car accidents remain to be the leading cause of death among teenagers as such monitoring your teenager’s driving habits prove to be beneficial for both parents and teens. What better way to track than using a GPS tracking device? A GPS tracking devices such as the OBD, gives you real-time monitoring which allows parents to know where their teenager’s vehicle is all the time, how fast is it running and even notifying them when their teens do a sudden brake or any other kinds of harsh driving. 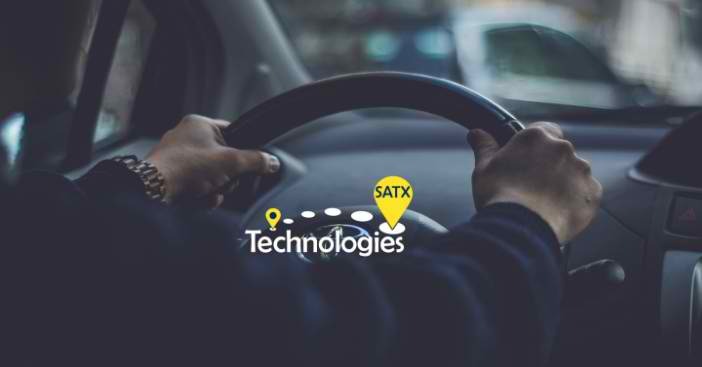 For tracking your teenage driver, an ideal vehicle tracking system would be real-time and compact at the same time easy to operate and easy to install. Just place the tracker in the glove compartment, under the seat or mount it using a magnet case and you’ll be good to go. With a GPS tracker, you can create geo-fences and pre-set boundaries. Once your teenager goes outside of the boundary, the tracker will then immediately send a notification to the programmed cellphone numbers. There are even some GPS trackers that have a panic button feature which will automatically send alerts to parents through a series of location alerts which is an indication that the teenager is in a state of emergency or is in need of immediate assistance using the GPS tracking software. A GPS tracker keeps track of safe driving record by providing updated, minute per minute speed and location updates. This includes text or email notifications based on the pre-set parameters you have chosen. This information may be used to track your teenager’s driving or you may use it to show to your insurance company when the need arises. These reports are usually detailed and are able to pinpoint the vehicle’s exact location, where the car has been, where it is heading and it’s travel speed. A GPS tracker’s tracking capability may be used for any types of vehicles, even motorcycles. Aside from safe driving, a GPS tracker can also inform you if your car is stolen. As a parent, you will no longer be worried even if your teenager does something like leaving the car unlocked with the keys inside the vehicle because the location of the vehicle will always be accessible. A GPS tracker can help you keep track of your assets. Whether you are a business owner tracking a fleet of company vehicles and or merchandise or simply tracking your possessions during a move, using a GPS tracking device for your assets ensures you that you get a clear picture of where these assets are at all times. When your child is home alone or when he or she is on his or her way home, there is always a danger for any child to be abducted but with a GPS tracker, the danger of your child going missing is the least of your worries.There are GPS tracking enabled phones that you can provide your kids so you can always track and contact them. These phones also have low battery consumption so you can utilize it fully. As a parent, when your kids are not with you, their whereabouts are always a big concern. With a GPS tracker, this becomes the least of your worries as GPS trackers make sure your children are not staying in places they shouldn’t be. A GPS tracker is useful in numerous ways. The reasons for using a GPS tracker may vary but the outcome is the same – keeping our loved ones and possessions safe and secure. We all have been a teenager once and having a teenager doesn’t make it any easier. As a parent, one of our growing concerns is the assurance that our teenager is safe wherever he or she is but this proves to be a challenge especially when statistics show that the leading cause of death amongst teenagers is motor vehicle accidents. Having this in mind, whenever a teenager gets his or her driver’s license, you can’t wipe the worry from any parent’s mind. As a parent, we take all the necessary precautions to protect our teenagers from vehicular accidents and thoroughly explain to them the dangers of traffic. However, a teenager’s mind is quite complex and has a tendency to lean on his or her daring side. 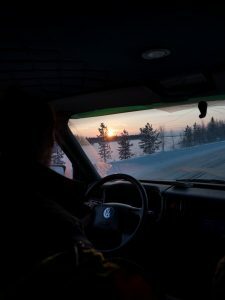 Thoughts such as “I’m not going to get caught” or “That’s not going to happen to me” are very common among teenagers making them more susceptible to road accidents. In this modern times of computers and internet, technology has the solution — GPS tracking. GPS tracking devices allow parents to monitor the exact location of the vehicle real-time, check speed, harsh braking, acceleration or any other vital information. Why Invest in a GPS Tracker? A GPS tracker is probably the easiest way to ensure that your teenager is driving safely. Teenagers could be a “know-it-all” and this attitude leads to not listening to advice or not following the rules of driving. They tend to think that driving is easy and that they should have the freedom to drive their car around as it suits them without really thinking of the dangers ahead. As a parent, we can’t help but feel worried about their safety and so, this is where the GPS tracking solutions come in handy. Once you install a GPS tracking device and inform your teen that you will be monitoring them, the tendency is, they will be more careful and more inclined to follow rules. This will keep them more under control and avoid being reckless such as over speeding or wandering off the set perimeters. 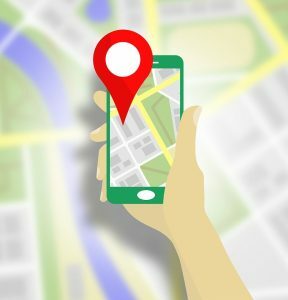 Features such as geofence zones, driver identification, and immobilization are some of the things that parents can utilize with a GPS tracking device. Parents can set pre-determined areas or otherwise called geofence zones so that they will receive notifications whenever their vehicles enter or leave the set zones. Driver identification is a feature parent can use to make sure that it is their teenager who is driving the vehicle and not some random friend. Most importantly, a cloud-based tracking software records vital driving information such as speeding, harsh turning, harsh braking, and acceleration. This data can be used to improve your teenager’s driving skills and point out the mistakes they make on the road. One of the challenges of getting a GPS tracking device will be the teens themselves. They won’t be too comfortable with the idea of being tracked as it imposes distrust. That is why it is important to explain and let them understand that the GPS tracking device is there, not because you don’t trust them but because you want to ensure their safety and well-being. This will have them be more inclined to follow traffic rules and operate within the set perimeters. Any parent would want their teenager’s safety and what better way to ensure this by installing a GPS tracking system. Motor vehicle accidents among teenagers are preventable, all you need is a GPS tracker and to closely monitor your teenager’s road behavior.